A grand Southern Rhone Valley wine, rich and generous. A beautiful signature on l’Acte of the Mas du Notaire. Harvested by hand during the day and placed in crates, the grapes are sorted and de-stemmed in the cellar. The alcoholic fermentation is temperature controlled (25°C max). Daily extraction and homogenization operations take place: pumping-over, rack and return, cap-punching. Total vat time is one month. Devatting and pressing of the pulp. Aged in French oak barrels (Tonnellerie Bordelaise, Taransaud, Saury, Laf te…) 1/3 new wood, for 12 months. Smooth on the nose. 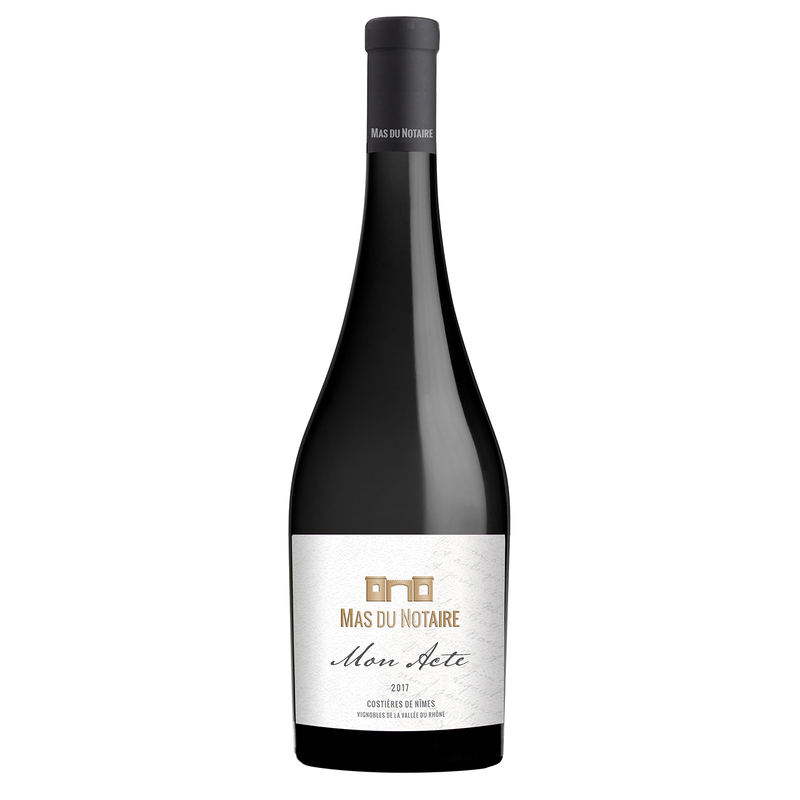 Fruity with cherry clafoutis, sweet spices, a touch of mineral and sugar plums. Expressive on the mouth, gourmet and peppery, a owery touch of clove, well balanced and smooth, nice Caudalies. Roasted pheasant, chicken and dried fruit tajine. Beaufort, coulom- miers or reblochon cheese.